So much to say…two posts in one day! We wanted to give you fast rundown on the all this weekend’s fun activities. Tonight! Join us at Mushmina (1540 South Street) for a night of culture and family with photos by Kwesi, collage works by Corey Compa, and graphics by Dustin Kemper. 5-9pm. The talented Kwesi Kankam will also be performing inside at 6 – 8pm. His music is a tapestry of relaxed grooves and melodic hooks that stay true to his world view and artistic nature. 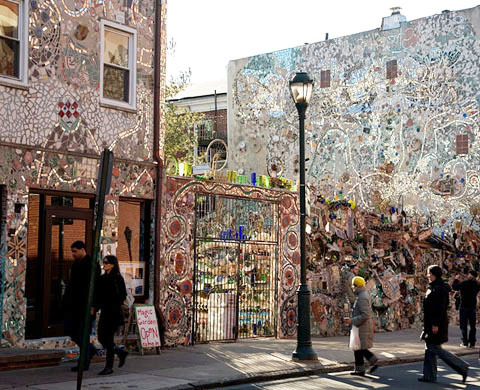 Tomorrow: ART Gage Festival at Philadelphia’s famous Magic Gardens. Celebrate Philly’s creativity! 1020 South Street. All day. Also tomorrow, Mushmina summer blowout sale on Fab.com We will keep you posted with details.